I have started traveling since last Diwali to break the routine of my monotonous lifestyle which revolves around office and home. 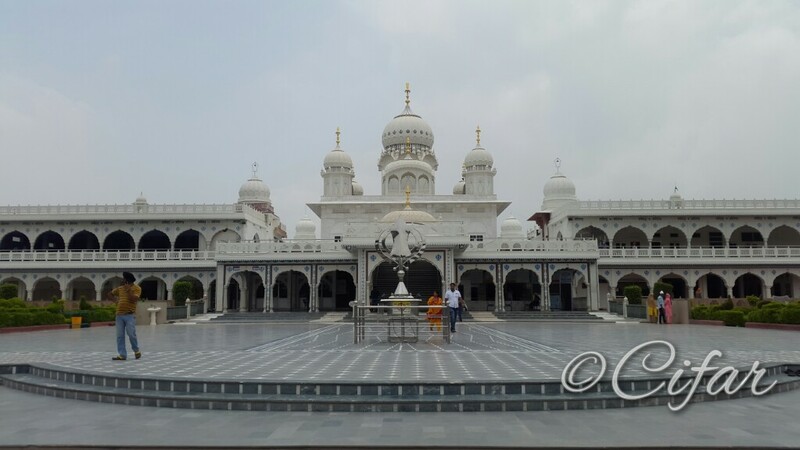 From Diwali i.e November 2015; I have visited Jaipur, Delhi's different places (twice covering different destinations at both occasions), Rashtrapati Bhavan tour the experience of which I have shared earlier and now Agra. 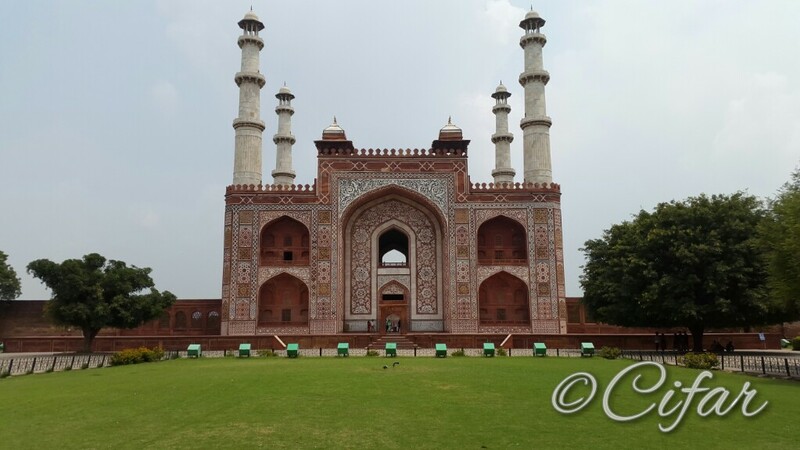 Since I have Mondays off so I with two of my friends visited Agra this Monday (25th July 2015). We took Taj Express from Nizamuddin station at 7:15 in the morning luckily it was not late so we reached Agra at 10 am. We have checked the places to visit on google so didn't waste a single minute in hiring an auto for the purpose. The prepaid autos there takes Rs 500 and show you just Taj Mahal, Itmad -Ud - Dualah, and Agra Fort but we convinced one to show us Sikandara (Akbar's Tomb), Mehtaab Bagh (Taj's back side) and other places if time left, we paid him Rs 600. Bedai and Jalebi is famous breakfast dishes of Agra so we tasted them before going to anywhere. 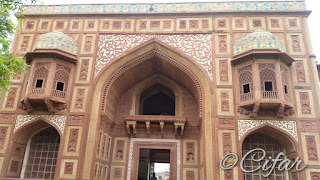 First we visited Sikandara (Akbar's Tomb) which charged Rs 20 per visitor. 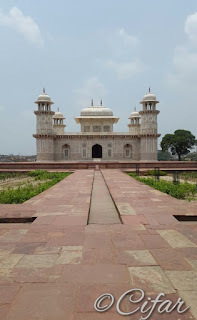 In its complex also lies Kanch Mahal (Mirror Palace) and Lodhi Tomb both were in ruined states we saw people working there sleeping inside Kanch Mahal while restoration work is on in Lodhi Tomb. Once a great king has hardly any visitors to his tomb and negligible if you compared to Humanyun's Tomb in Delhi and Taj Mahal in Agra. Itmad - Ud - Daulah build 26 years before Taj Mahal was inspiration for it and is also known as Mini Taj. 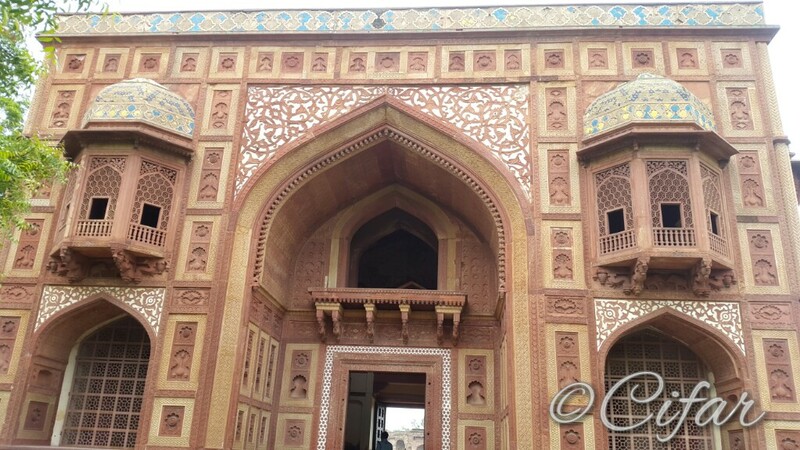 This was our second stop which has tombs of Nur Jahan's father and mother along with some other tombs. 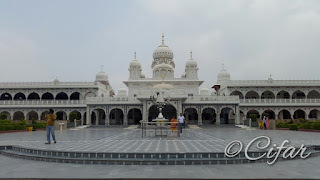 We also give a small visit to Guru Ka Tal - the largest Gurudwara in Agra. 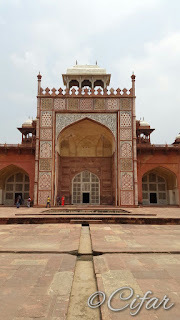 Our next stop was Mehtaab Bagh from where we can see back side of Taj Mahal. It is also a paid place and charges Rs 15 per person. It was believed that Shah Jahan was planning a black Taj Mehal replica at this place. Ruins of the base of that building is still there in this garden built in Mughal style. 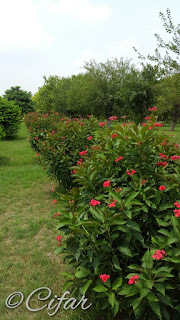 I noticed that the garden is not as good as other Mughal gardens or perhaps this is because it is not flower blooming season. I observed few varieties of flowers and trees repeated at all over. 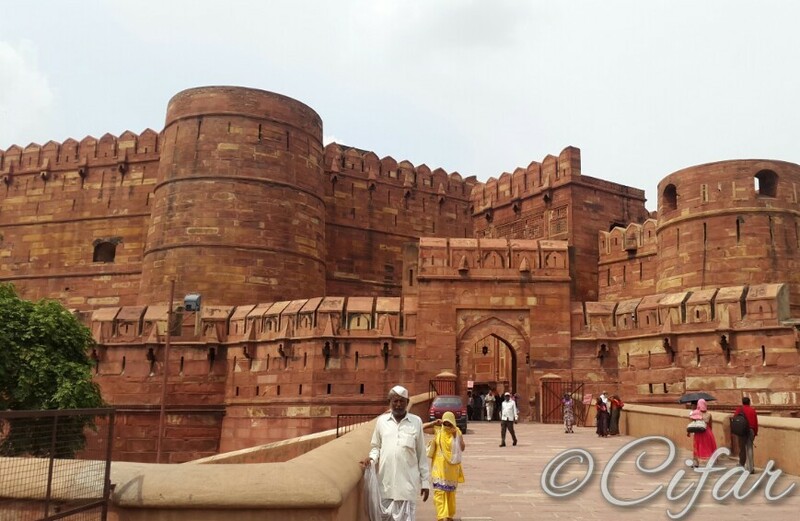 Agra Fort was our next spot. Its ticket costs Rs 40 per person similar to Taj Mahal but at Taj they check your ID proof also before giving you ticket. Agra fort is bigger than Delhi's Red fort but many of its places were closed at the time of our visit for restoration work. Our next stop was Taj Mahal. of Black Taj supposed to build there. Taj built by Shah Jahan for his wife Mumtaz's remembrance was our last stop, it was also the most populated place of the places we have visited that day. This shows love has more power than any other powerful man in this world. 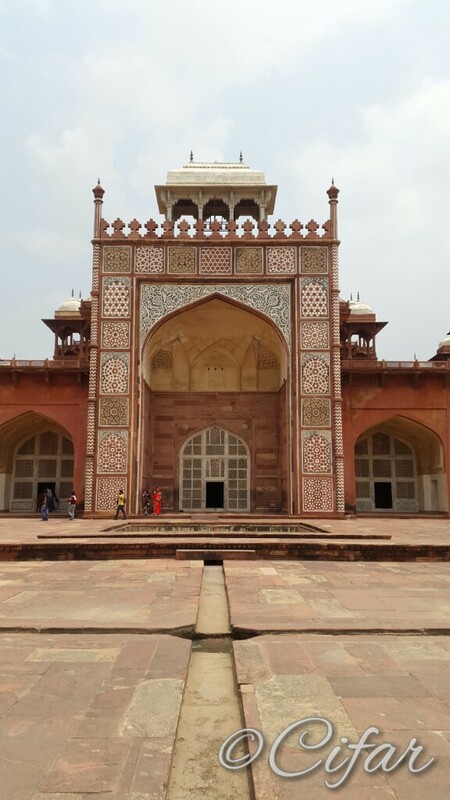 It has tombs of Mumataz and Shahjahan in the main white marble building. 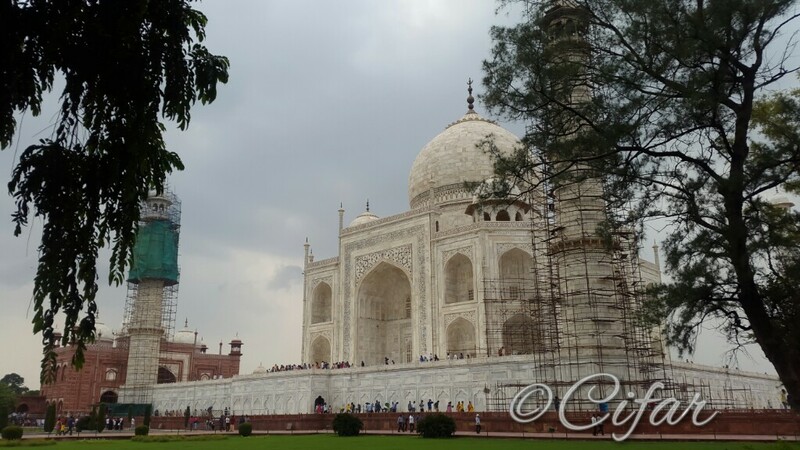 Cleansing and restoration work is currently going on in main building of Taj Mahal. It is a beautiful place. We were exhausted when we reached there and the entry, exit arrangement juiced out more of our energy. Bad arrangements and unhelpful staff is what I observed there and I don't know why there was a VIP entry where we have to walk less. Isn't there equality in India? Agra received so many visitors every year for its world famous Taj still condition of its road is pathetic. Even the area around entry gates of Taj is congested and poorly maintained. After Taj, Petha a sweet dish made up of pumpkin is most famous in Agra. A brand Panchi Petha sell the best pethas and they have different varieties of it but the original Panchi Petha Store is in Sadar Bazar but autos and taxis will take you somewhere else where they get commission. It was a nice one day trip and we reached Agra Cant station after spending sometime in Sadar Bazar area. We returned from Bhopal Shatabdi which dropped us at New Delhi Railway Station at 11.30 pm from where we took auto for our homes. I visited by the Ministry in 2012 and it was such an awesome experience on a Sunday. We were also asked to remove our shoes, I remember. I will send you the link. You did a beautiful one. I remember spotting Sanjay Khan there and man, cigarette stick is so expensive. 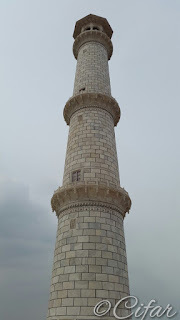 Unique images of taj mahal and agra great shared thanks for sharing nice post..
corporate day outing near delhi great shared i like it doing good job. My trip to Agra was very catchy. 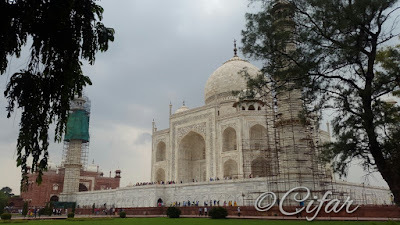 It was rainy season, so delightful weather and phenomenal view of Taj Mahal was telling a different story. Very nice place to visit. 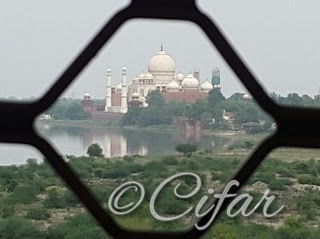 Very good blog and give me a very useful information of Agra tourism. 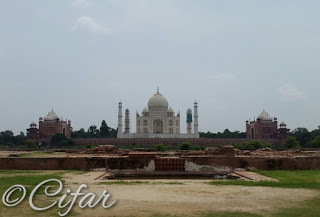 Thanks..
It’s good to know that you had a great trip to Agra.Agra is one of the finest places in India to visit, it take place in heart of people and how can we forget about Taj Mahal the true symbol of love. Taj Mahal has Calligraphy all over the interior and exterior, which, among the other patterns and holy inscriptions. I will not surprise about you are not aware of the amazing fact about Taj Mahal is that, Taj Mahal does different colors at different times of the day. In the early morning, it assumes a shy pinkish hue, which turns to a glowing white as the day rolls on, and turns a burnished golden at night in the moonlight. And changing colors are said to be analogous to the moods of a woman – Mumtaz Mahal, to be specific. The Golden Triangle Tour package covers the 3 famous places of northern India which are well known for its cultural heritage and the architectural wonders. You shared amazing experience of your agra trip. 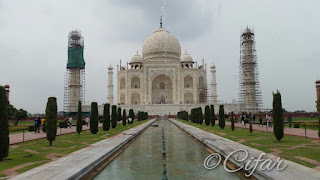 its really awesome and taj mahal is one of the best attraction and same day agra tour by car is best tour to visit agra. Good post, Agra is a place where everyone want to visit. Its is sign of love. It looks more beautiful at sunrise. Most of people choose Sunrise taj mahal tour to experience beauty of taj. Great post! 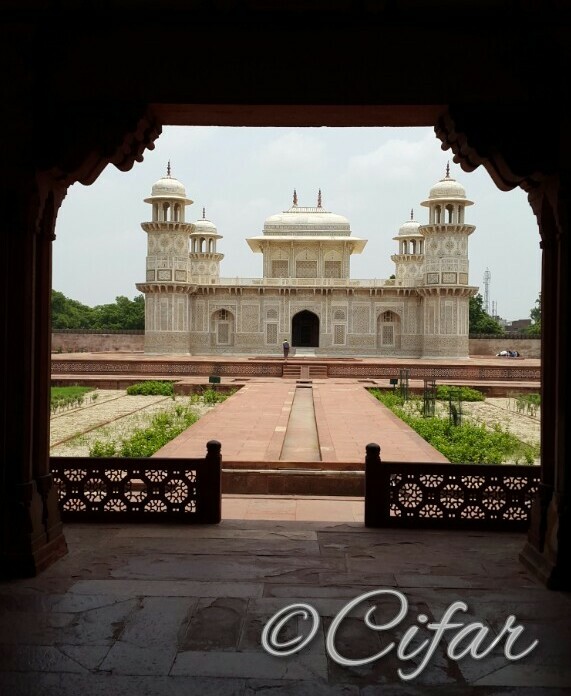 Agra is the best city to see the all historical monuments in India. There are lots of places to see. 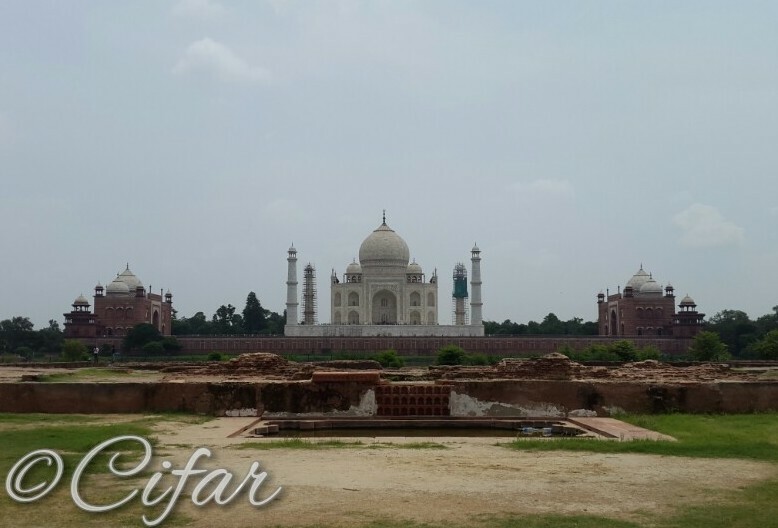 If you want to go then book this trip Same Day Agra Tour is the best way. 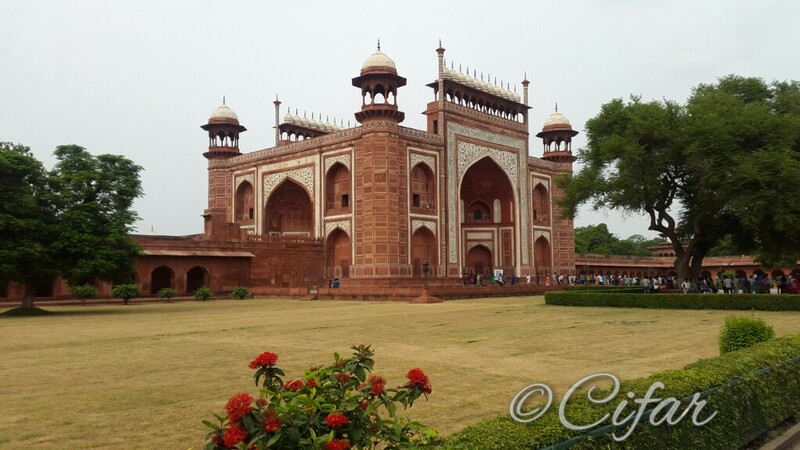 Experience the most popular heritage sites with Overnight Agra tour. 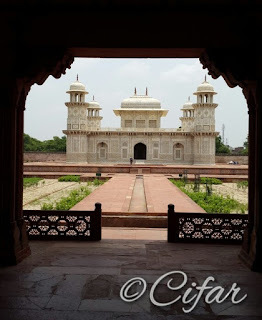 This tour cover all historical monuments in Agra city. This tour package will take tourist World famous building Taj Mahal at night.